North Africa’s smallest nation, Tunisia, is a fine jewel in the Mediterranean. Situated on the Mediterranean Coast of North Africa, Tunisia is endowed with breathtaking, beautiful beaches with a total coastline 1,148 kilometres in length. An estimated 1 million expatriate population have found their way to Tunisia; European expatriates have certainly found a home in Tunisia. Tunisia is an emerging country that ranks as one the most competitive economies in the world, dominated by its export and tourism sector. Tunisian economy's average growth rate is at 5% over the past ten years, and its 2008's real GDP growth rate was recorded at 5.1%. 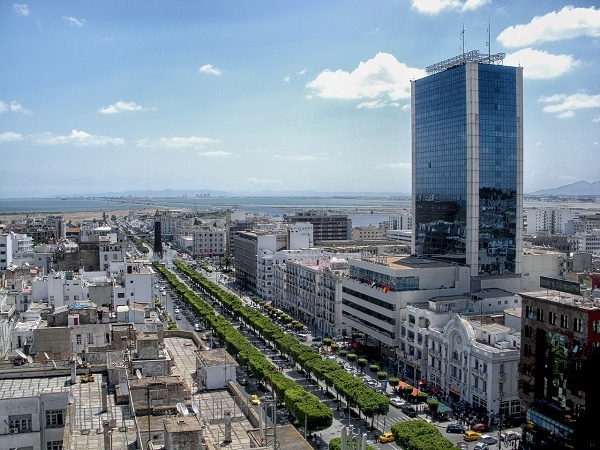 A significant factor in Tunisia's success is its openness to trade, making it the European Union's most established trading partner in the Mediterranean region. Manufacturing industries in Tunisia produce most of the exports that include textiles, petroleum, mining, footwear, food processing, and mechanical manufacturers while tourism is a major source of foreign income in Tunisia. Tunisia can certainly climb the top spot as the tourist destination for 2010. In 2008, a total of 7 million tourists visited Tunisia reaping 3.3 billion Tunisian Dinars. In the services sector, the Information and Communication Technology (ICT) continues to play an important role in enhancing Tunisia's economy. Sandwiched by Algeria and Libya, Tunisia's total land area is 165,000 kilometres with an estimated population of 10,432,500 as of July 2009; most of which are predominantly Arab. It is a relatively small country yet geographically diverse with the famous Sahara Desert in the south and marvellous mountainous terrain in the north. Tunis, the largest city in Tunisia, is a fusion of modern European city style outlined by cosmopolitan cafes with a well preserved Medieval Medina (old city/town) bustling with souks and countless archaeological vestiges. Tunis is the gateway to the ruins of the ancient city of Carthage, Tunisia's famous archaeological site. Tunisians are very friendly and welcoming; however, expatriates may face language and cultural barriers. Islam is the official state religion, and by law, the president is even required to be a Muslim. Contrary to belief, there exists a religious freedom as some adhere to Judaism or other religions like Catholics and Protestants. Although Tunisia is the most liberal of all Islamic countries, expats should be sensitive to the Islamic tradition. Travelers and expats should wear modest clothes when entering mosques or any religious sites and avoid clothing with articles that may cause any offence. Showing a modest amount of skin on the beach is tolerated, but not elsewhere. Women's right is very liberated in Tunisia; however, women expatriates should take caution when travelling alone. Public displays of affection can also cause offence. During Ramadan, Muslims are forbidden to eat, drink and smoke between sunrise and sunset. Furthermore, homosexuality or homosexual acts are prohibited and punishable in Tunisia. As an Arab country, the official language is Arabic and French is used as a second language. Most of the Tunisians residing in the urban areas can speak French resulting to a dialectal mélange informally called "Frarabic". The hottest month is October while windstorms may occur in spring or April and May. Living in the south will be hot and arid as it extends more than 300 kilometres to the desert. Tunisia's coastal regions in the south have a moderate temperature. The local currency is Tunisian Dinar or TND. Traveler's checks and credit cards are accepted in most urban or tourist areas. Foreign nationals should note that it is a criminal offence to import or export Tunisian Dinar. Despite the global slowdown, an expected economic recovery will embark in 2010 that will benefit industrialized and emerging countries like Tunisia. The country is committed to implementing its five-year program (Presidential Program for 2009-2014) that aims to attract more foreign investments, reach 10 million tourist entries, and sustain the growth of its expat community. Tunisia is an Arab country on the northernmost tip of Africa. It lies in a good amount of desert land but also has a Mediterranean Sea coastline. Packing for those relocating to Tunisia is therefore not such a simple task. You first need to take the weather into consideration. The general climate is temperate. Summer months in the country are hot and dry, and winters are mild and mostly rainy. Pack clothing that is made of light fabrics. Loosely fitted clothes can also help in the midst of a Tunisian summer. Bring a couple of light jackets for the occasionally chilly nights. Bear in mind as well that although Tunisia is a popular tourist and expat destination, it is still an Arab country, so make sure to bring not too revealing clothes. Glare protection is also important, so a couple of sunglasses and visors may come in handy when you step outside and enjoy the Tunisian sights and sounds. Removals to Tunisia is not an easy task either. Consider consulting movers to Tunisia to get the best prices for your relocation or shipping needs. Removal companies in Tunisia can help you out with overseas shipping of your bulkier belongings. They would also have a more comprehensive idea of current customs regulations. For those who plan to bring in tobacco and alcohol, free import is limited to 200 cigarettes or 400 grams of tobacco. You can also bring in only one bottle equivalent to one liter of any alcoholic beverage. If you wish to bring perfume, you would only be allowed to import what is considered enough for personal use. Historically speaking, Tunisia has always been a popular expat destination since it is surrounded by the African, Mediterranean and Arab world. This country now houses more than 11.4 million people whereas a huge number of the population are of Arab, Italian, Maltese and French descent. 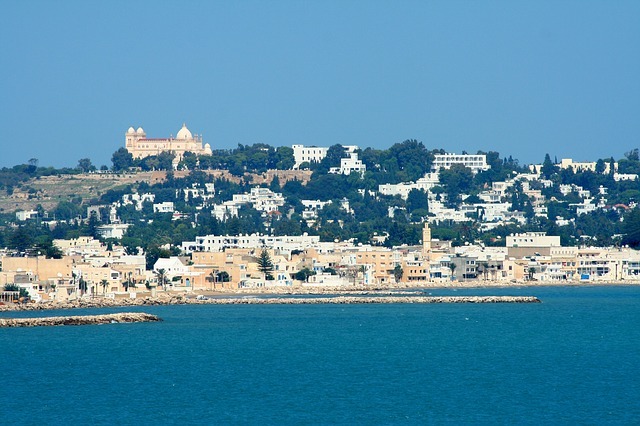 Expats in Tunisia mostly live in Tunis, the capital and are usually employed in the manufacturing, mining, tourism and agriculture sectors which are the main drivers of the local economy. Though there have been several security concerns that started in 2015, many will still find this country an interesting destination. Tunisia is blessed with scenic rolling plains, stunning Mediterranean beaches and most of all, a large and beautifully diverse international community which proves how accepting this nation is to expats. Tunisia is filled with many activities that the kids and the whole family will enjoy. There is a place called Acqua Palace located in Port El Kantaoui that features water slides, water castles, toboggan drops, water rings and other fun water rides. 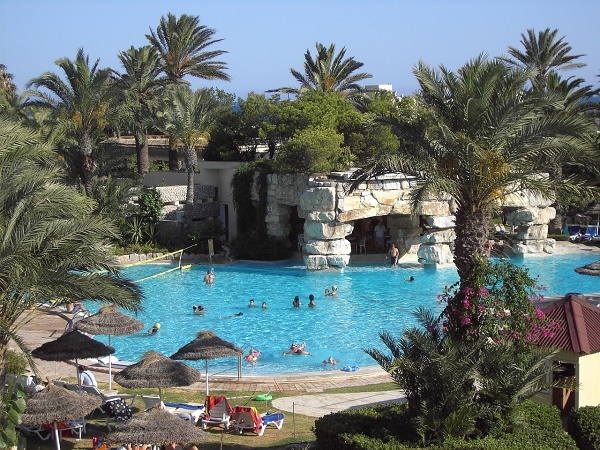 Another popular theme park in Tunisia is the Friguia Park, an animal haven located in Hammamet and Sousse. This place offers visitors of all ages a wildlife adventure in a protected ecological environment. Beach resorts are a popular place for families. Tunisia boasts 810 miles of coastal paradise. Many of the most popular resorts are located on the east coast from La Goulette to Monastir in the south. There are also popular ones in Djerba, Ghar El-Melh, and Sousse. The country also has an impressive list of heritage sites such as the Carthage, the remnants of the once great city that served as headquarters of an extremely powerful South Mediterranean empire in 6th century BC. Another must see is the Medina of Tunis, a UNESCO World Heritage site where expats will marvel at over 700 monuments and several madrasas, mosques, fountains and palaces that dates back from the Hafisd and Almohad periods. Driving in Tunisia is not much of a hassle since most roads especially in Tunis and Sousse are well paved. However, expats who will drive in rural areas should be cautious since there are no lights during the night and there are animals on the road. Traffic is also quite heavy but only in the capital Tunis whereas the congestion is at its peak during rush hour. Expat parents should also remember that no child under 12 years old is allowed in the front seat while those that are below seven years old should have a car seat. Expats in Tunisia will notice that the most significant unit of Tunisian life is the family, and many of the country's customs and traditions are centred on family life. A large part of the country's culture is also in deference to their religion, Islam. Among the Muslim obligations expats in Tunisia may witness are their prayers, which are done five times a day at an exact time at dawn, noon, afternoon, sunset, and evening. Unlike most Muslim countries though, the weekend in Tunisia is Saturday and Sunday instead of Friday and Saturday. An expatriate in Tunisia would also find observe a very important facet of Islamic tradition, the holy month of Ramadan. At this time, Muslims fast from dawn to dusk and work shortened hours. Ramadan nights are fun bonding moments for families and friends, as this is the time when they celebrate the breaking of the fast called iftar. The merrymaking and festivities last almost the entire night. Expatriates and tourists are not obligated to fast, but they are not allowed to eat, drink, smoke, or chew gum in public places. There is a strong respect for both men and women. A man cannot show too much curiosity towards a woman. Even in the common greeting of handshakes, a woman must make the first gesture by extending her hand, if she does not, a man can only bow in greeting. Modest clothing is also still suggested for women living in Tunisia, even for expatriates. The Muslim locals usually cover their head and body with the safsari, a rectangular white cloth. Expatriates do not necessarily have to do the same but are advised to not show too much skin in respect for their culture.